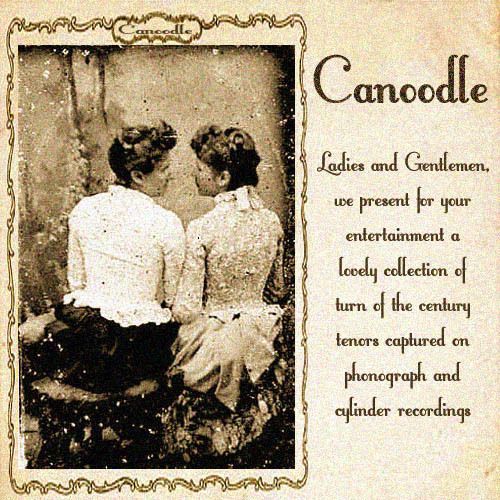 "Ladies and Gentlemen, we present for your entertainment a lovely collection of turn-of-the-century tenors captured on phonograph and cylinder recordings." The following recordings are made available online by the Internet Archive in their Oldtime 78rpm Records collection. Most were recorded on original old equipment and were supplied to the archive by the Thomas Alva Edison Recording Project of the Menlo Park Museum, the sound archive of the Edison National Historic Site and by 78rpm enthusiasts.